The Lean Leadership Master Class is an opportunity to learn from one of the world’s leading kaizen practitioners and trainers. 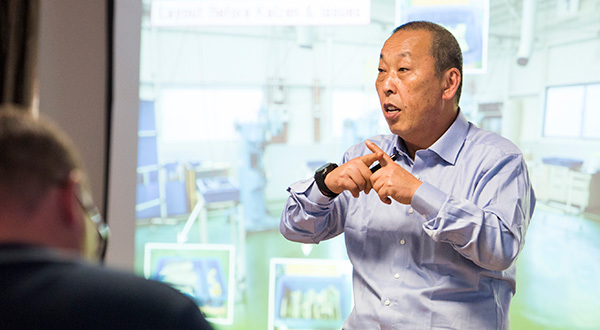 As a Toyota factory manager and lean leader, Akinori Hyodo has built a 40 year career as a lean sensei fostering the Toyota Production System within Toyota, its supply-chain, and more recently within non-automotive companies. The course will also include an overview of the operations at the Toyota HiAce factory in Japan, as well as an afternoon tour and mini diagnosis at Rakon in Auckland. This training is presented in partnership with Simply Lean Business Solutions.